The Hope of Going, 2016, digital print with screen-print, L148 x W105mm. As an object, the postcard is designed to travel between different borders and thresholds, but does not fully belong to one particular place; instead the postcard straddles two spaces, the space it leaves and the space it travels to. This act of taking a static object, and sending it through the post, keeps it in constant motion and in turn changes the objects state of being. This idea of changing states, and crossing thresholds, can be considered a metaphor for transition, where the state of both the artist and the postcard remain in flux. 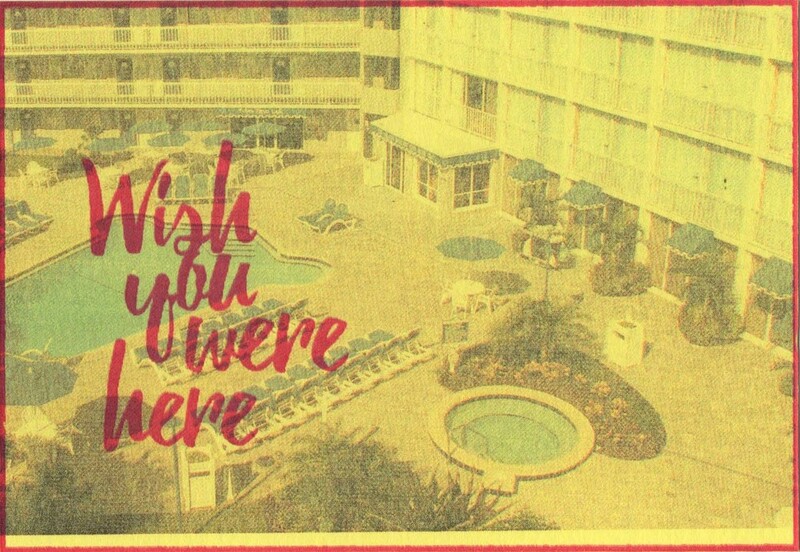 These postcards feature slogans that advertise holidays in Florida, and were developed prior to the artist travelling to America for 'Top Surgery' in 2016. The artist's dream of travelling to Florida was not for sunshine as the slogans suggest but for major surgery, adding an ironic twist to the works.